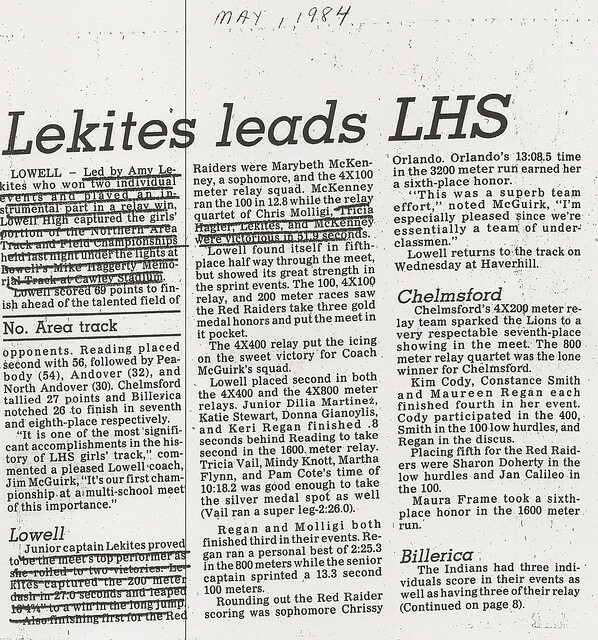 Perhaps the most outstanding sprinter/long jumper in the history of the Lowell High School Girls Track program, Amy Lekites inspired her teammates by her ability, dedication, loyalty, and leadership. 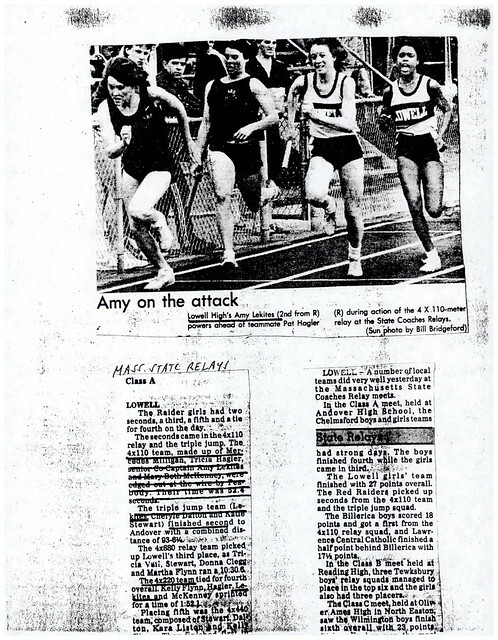 During her freshman and sophomore years, Amy was a contributing member of the Indoor and Outdoor Track teams. 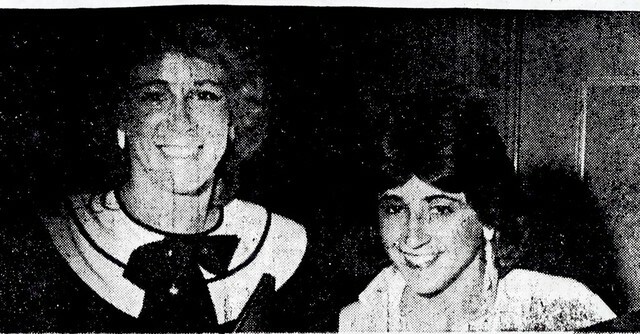 During her junior and senior years, Amy blossomed into one of the most dominant performers in the tenure of Coach Jim McGuirk. 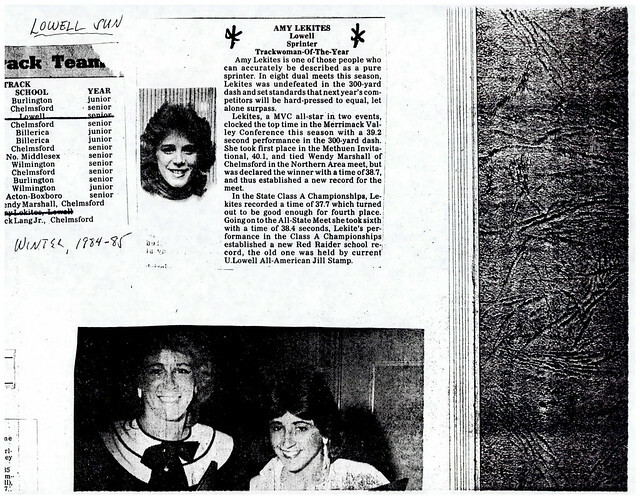 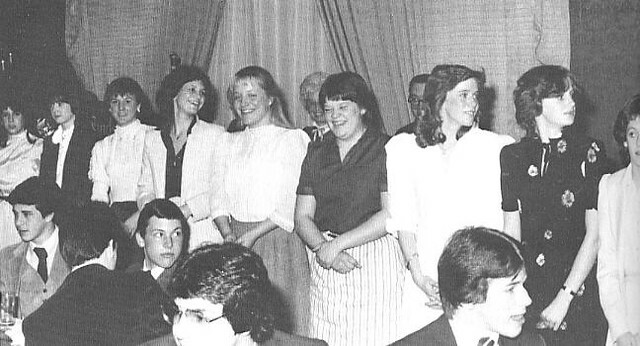 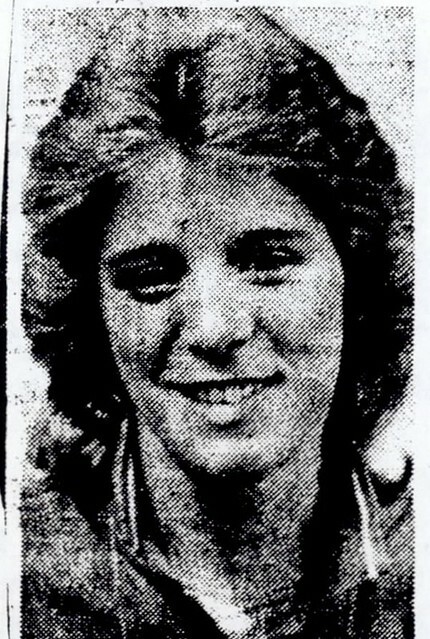 As a junior (1983–1984), Amy was undefeated indoors in the 300-yard dash in Merrimack Valley Conference dual meets. 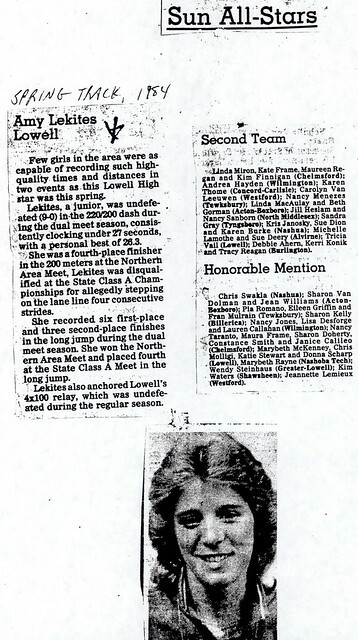 She won All-Conference honors in both the 300 and the 4×440-yard relay and Lowell Sun All-Star honors in the 300. 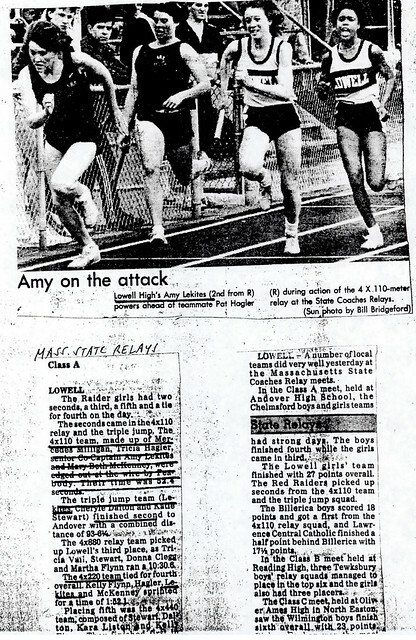 Outdoors, Amy continued her dominance, finishing the MVC dual meet season undefeated in the 200-meter dash and winning both MVC All-Conference and Lowell Sun All-Star honors in both the 200 and the long jump. 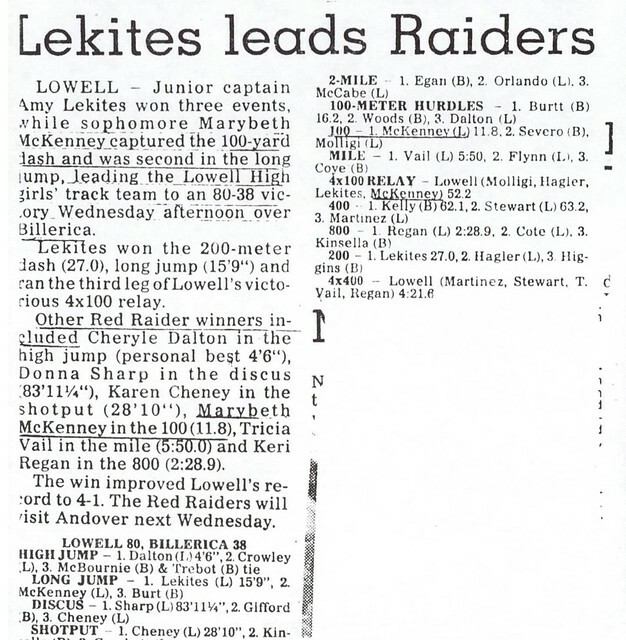 Amy highlighted her season by winning both the 200 and the long jump and also running on the 1st place 4×100-meter relay team as the Raiders upset favored Lexington and Andover to capture the Northern Area Sectional Championship at Cawley Stadium. 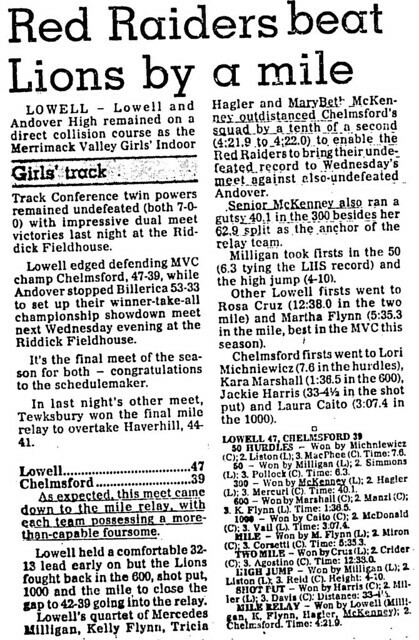 Amy then placed 4th in the long jump at the Eastern Mass Class A State Championship. 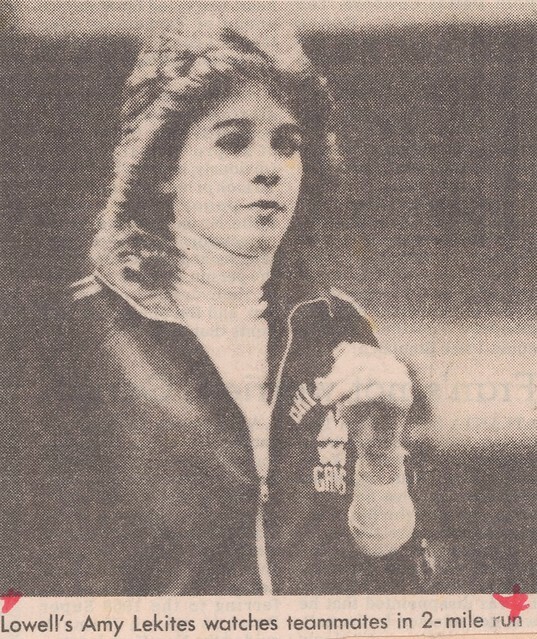 As a senior (1984–1985) Amy (team Captain) again dominated the MVC indoors in the 300, finishing undefeated for the 2nd consecutive season. 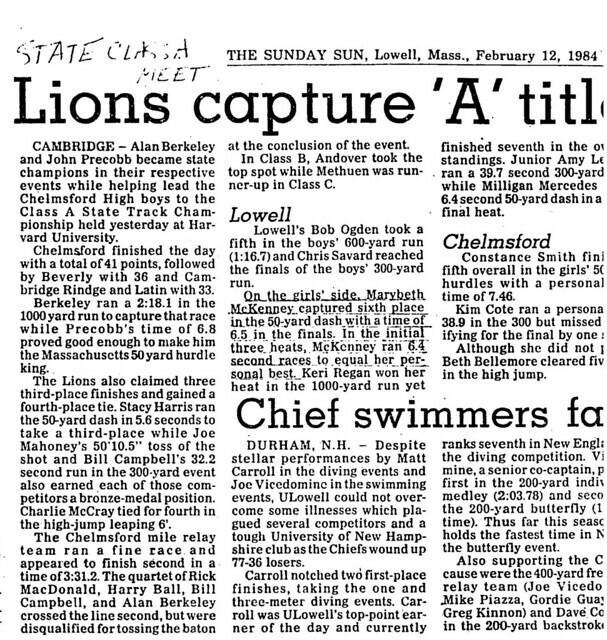 She then captured that event at the Northern Area Championship before finishing 4th at the Massachusetts Class A Championship meet in both the 300 and as part of the Red and Gray’s 4×400-meter relay team. 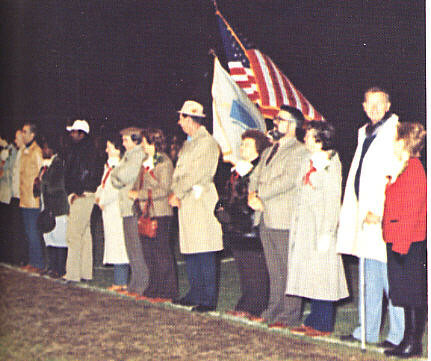 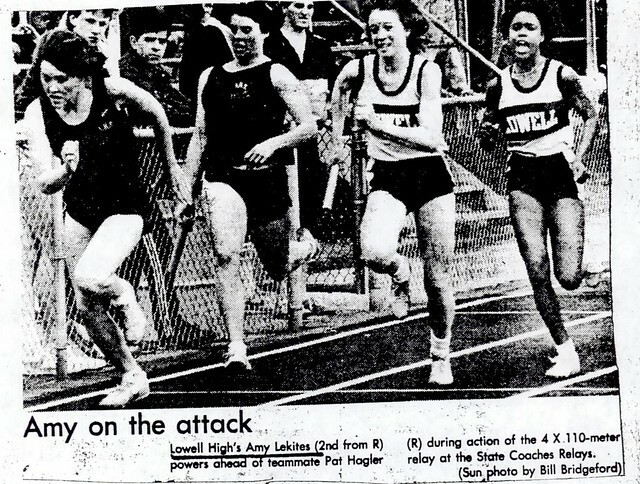 The Lowell Sun Trackwoman-of-the-Year, Amy also won Massachusetts State Championship honors, joining teammates Patty Hagler and fellow Hall of Famers Mercedes Milligan Simmons and Mary Beth McKenney on the Raiders victorious 4×200-meter and 4×50-yd shuttle dash relay teams, the latter setting a Massachusetts State High School record that still stands almost 20 years later. 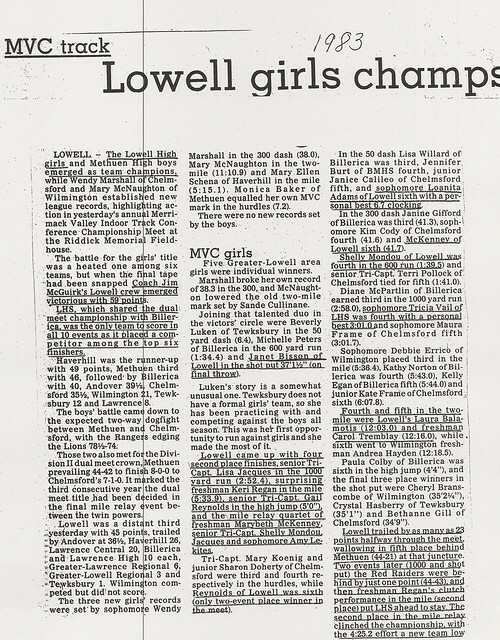 Outdoors Amy again enjoyed considerable success as team Co-Captain, winning both MVC and Lowell Sun All-Star honors in both the 200 and the long jump. 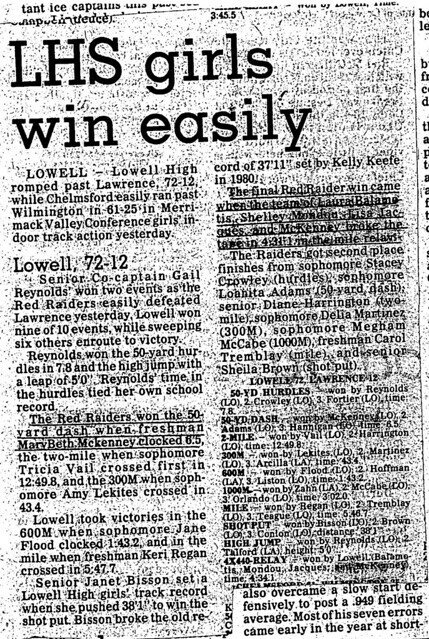 Amy completed a run of 3 consecutive outdoor seasons as the Raiders leading scorer and earned her 4th consecutive team MVP award. 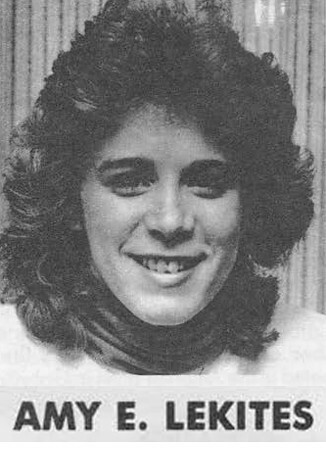 Tragically, Amy passed away less than a year after her graduation from Lowell High as the result of an automobile accident. 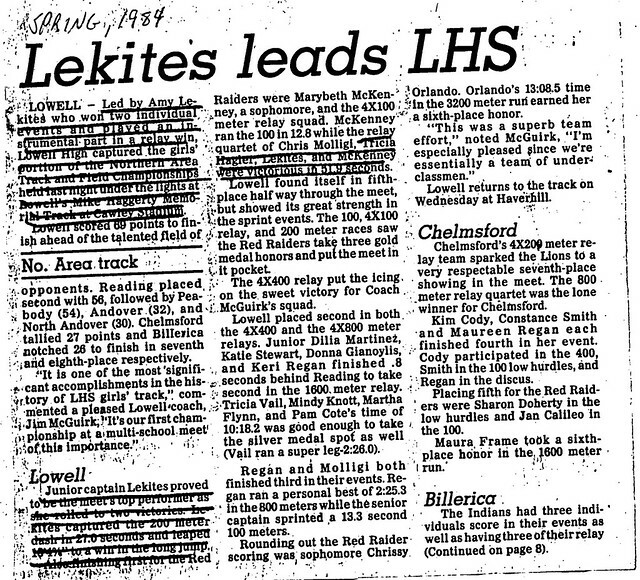 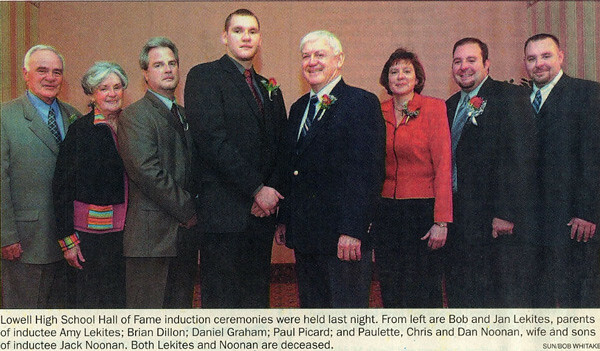 The Amy E. Lekites Gymnasium at the Christa McAuliffe School in Lowell was dedicated in Amy’s memory in 1994.